Come and experience the finer side of cabin life and spring in the Colorado Rockies. Rams Horn Village Resort. For questions, or to book, call 800-229-4676. Save 20% on any three night stay May 24th through May 27th. Save 25% on any stay of two nights or more May 27th through May 31st. This is for two nights in a Rams Horn Village Resort two-bedroom premium cabin that sleeps six. We’re less than five minutes from the main entrance of Rocky Mountain National Park. Our cabins feature super high-speed internet, fireplaces, full kitchens, and 600-thread-count sheets. See more on our luxury cabins including a video. 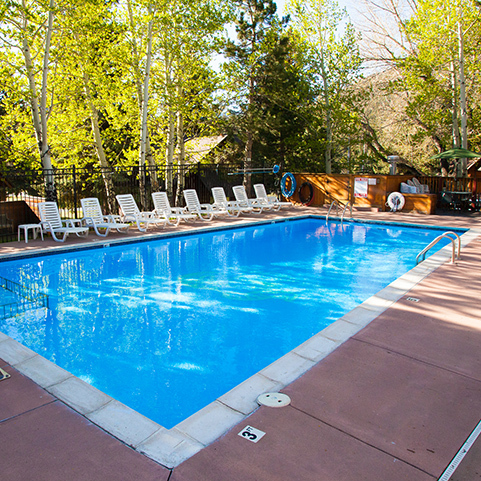 Our many resort amenities include an outdoor heated pool, fitness center and three outdoor hot tubs. 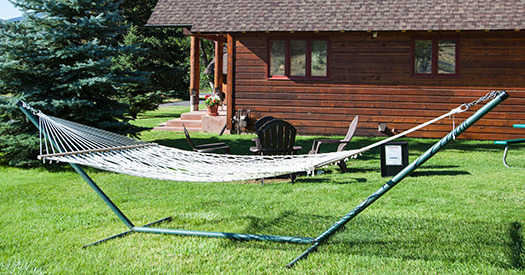 Enjoy BBQ grills, hammocks, gas firepits and more. 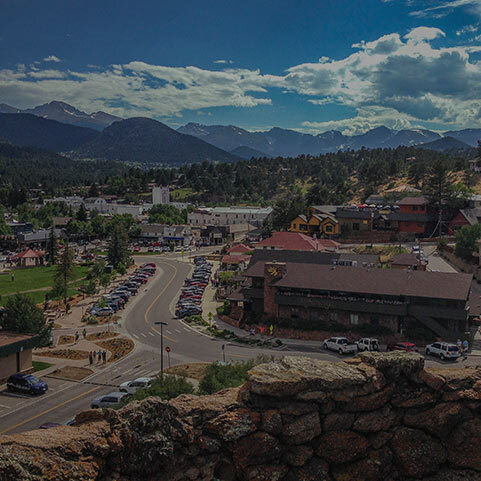 We’re five minutes from downtown Estes Park and even closer to four of Estes Park’s most popular restaurants and taverns. For reservations, or to book your stay, call our front desk team at 800-229-4676. Ask about pricing for additional nights. If you’re thinking about a visit, please bookmark this page to return to it later. Fine print: Must be consecutive nights. Cannot be combined with other offers. For new reservations only. Pricing examples do not include tax. Guests to our area in the spring enjoy a variety of outdoor activities. At higher elevations in Rocky, there’s snowshoeing, cross-country skiing, snowboarding, sledding, and backcountry downhill skiing. 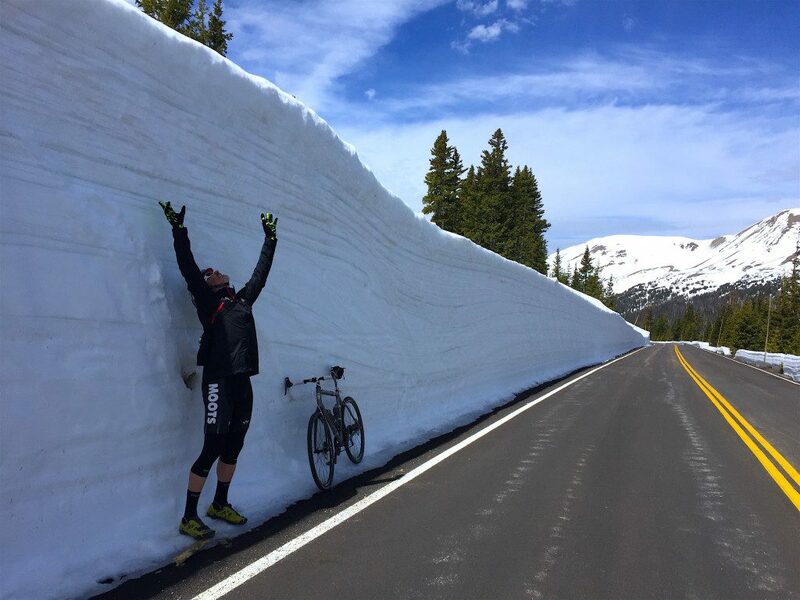 Breathtaking Trail Ridge Road generally opens Memorial Day Weekend. At lower elevations, guests will enjoy incredible wildlife viewing, hiking, horseback riding, fly fishing, wildlife viewing, photography, and just taking in the spectacular mountain scenery. If your idea of adventure is shopping, you’ll enjoy the more than 100 shops in downtown Estes Park that feature unique and often handcrafted items. Our restaurants, shops, and galleries are open year-round. Rocky is one of the premier National Parks in the country. It’s beautiful and engaging every day of the year. In addition to the activities mentioned above, there are insightful Ranger-led programs every day in Rocky.